Hello, everyone! So if you’re an 80s child like me, today’s post title brings back fond memories of one of our favorite movies- The Goonies! In fact, I won this polish in one of Fallen Angel Beauty Bar’s Facebook live events because I knew where the name Chester Copper Pot came from. Fallen Angel Beauty Bar is so brand spankin’ new, she doesn’t have a site up yet, but you can see her products on her Facebook and Instagram pages and order directly from her. I’ll have those links for you at the end of this post. Back to the polish! Chester Copper Pot is a really complex polish and difficult to describe- thank god for pictures! It’s sort of like a copper and hot pink duochrome with a teal flash. The effect is really beautiful. The formula is lovely and it goes on opaque in 2-3 coats, depending on thickness of each coat. So, Angela, the owner of Fallen Angel Beauty Bar does more than polish, hence the reasoning behind her brand’s name. So far, I have her Himalayan Pink Salt foot scrub bar, Citrus cuticle balm, lip scrub, and Whipped Body Butter in the scent Medicine Magick. Her products work so well. I’m sure enough of us are trying to get our feet sandal and flip flop ready. Her scrub bar worked so amazingly well I was stunned. She really has a knack for this stuff! If you’re interested in checking her out, go to Fallen Angel Beauty Bar on Facebook to join the group and see her awesome products. You can also check her Insta out at http://instagram.com/fallen.angel.beauty.bar/. Her customer service is great and she’s worth looking into! I’ll see you all tomorrow with some nail art I did with Chester Copper Pot! I don’t know this brand but new indies are always exciting! I totally read your posts in reverse, but Chester Copper Pot by Fallen Angel Beauty Bar is beautiful! 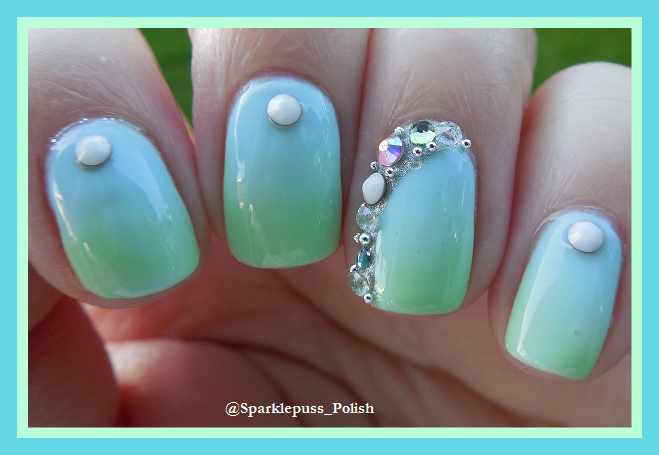 Very pretty polish! I hope to hear more about this brand.